Austin Leland Hughes was Carolina Distinguished Professor of Biological Sciences at the University of South Carolina, and was for several years the director of the university’s Institute for Biological Research and Technology. Professor Hughes’s research used statistical analysis of DNA sequence data from a wide variety of systems as a means of understanding the mechanisms of adaptive evolution, with emphasis on genes of the vertebrate immune system. Professor Hughes was a fellow of the American Association for the Advancement of Science and a member of the Witherspoon Council on Ethics and the Integrity of Science. 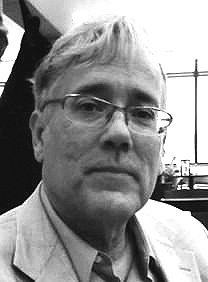 He was the author of two books — Evolution and Human Kinship (Oxford, 1988) and Adaptive Evolution of Genes and Genomes (Oxford, 1999) — and of over three hundred peer-reviewed scientific papers published in Nature, Genetics, Molecular Biology and Evolution, Immunogenetics, the Journal of Molecular Evolution, and many other scientific journals.